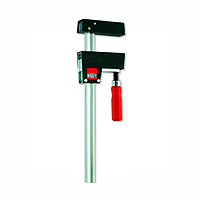 With the Bessey's research and development activities and its willingness to innovate have thus given rise to a comprehensive product range offering countless technical advantages and a high degree of practical convenience. In this way, they make a substantial contribution to the quality of the work for which they are employed. 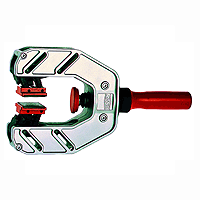 Whatever the clamping task may be, they perform rapidly, cleanly, precisely, gently, securely and powerfully. One handed clamps. Many sizes. 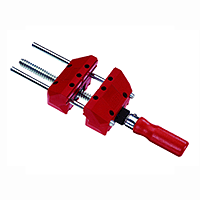 Table clamps of various sizes and for many applications. Frame cramps utilising a strap mechanism. Small vice clamp for the work bench or taken out to site. Complete with fixing clamps. 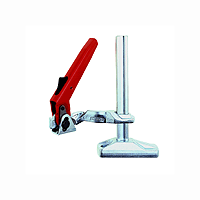 K Body clamp (sash cramp). 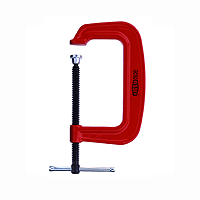 Lever clamps with ratchet mechanism. 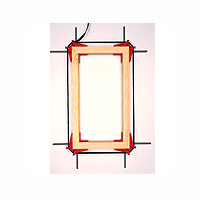 "G" Clamps of various materials for various applications and many sizes. 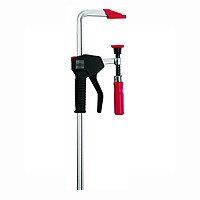 Three way, one handed body clamp, ideal for holding solid wood lippings during the bonding process. 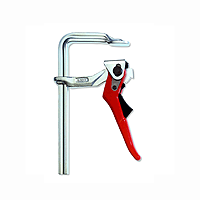 The above is just a small selection of the extensive range of Bessey clamps, if you don't see what you seek please contact us, we are sure that we can service your requirements.